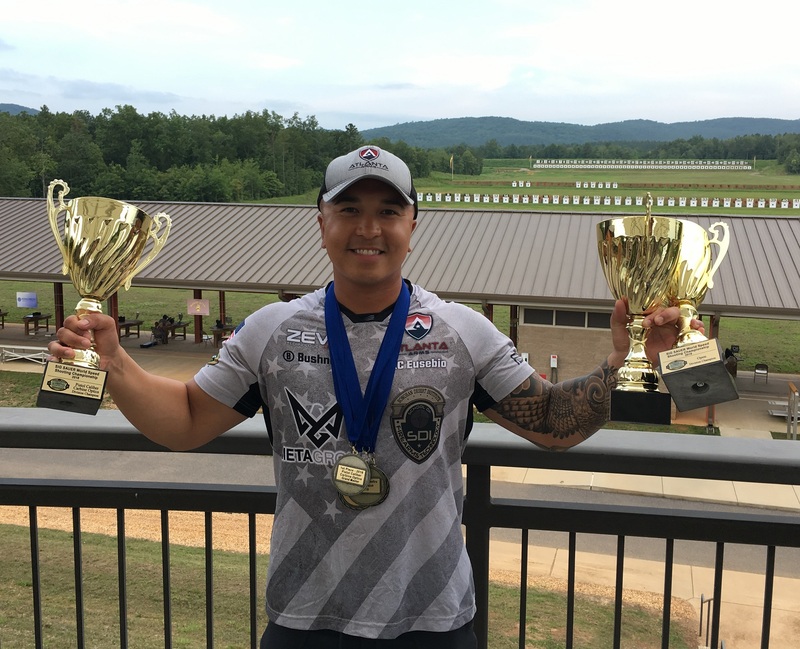 OVERLAND PARK, Kansas - June 26, 2018 - Bushnell sponsored shooter KC Eusebio won three divisions and set multiple new World Records at the United States Practical Shooting Association’s (USPSA) 2018 World Speed Shooting Championships in Talladega, Alabama. Using the new Bushnell AR Optics Advance red dot, Eusebio took home the gold in the Open, .22 Rimfire Optics and Pistol Caliber Carbine (PPC) divisions. Eusebio, who hails from Atlanta, Georgia, is an IPSC, USPSA and Steel Challenge action shooter. 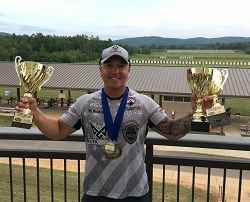 His win in the Open Division makes him a five-time Open World Speed Shooting Champion and the first competitor ever to set a Speed Shooting World Record using Bushnell optics. In each of the three divisions, Eusebio relied on the Bushnell AR Optics Advance red dot. Compatible with both pistols and rifles, the Advance is the smallest, lightest red dot in the Bushnell AR Optics family. It is waterproof, fog-proof and shock-proof with a 5-MOA dot that provides lightning-quick target acquisition under any lighting condition. With the flexibility and unwavering performance of the Advance, Eusebio was able to set a match record in the PCC division and also set five stage records across the three divisions. “It was a great week for Team Bushnell,” Eusebio said. “I was able to take home the Gold in multiple divisions and set new world records. My first year with Bushnell has been a successful journey thus far. I'm truly honored to be part of such a great family." Up next for Eusebio is the U.S. International Practical Shooting Confederation (IPSC) National Pistol Championships in Frostproof, Florida. For more information on KC Eusebio visit www.kceusebio.net or his Facebook fan page at https://www.facebook.com/kceusebio.fanpage/.